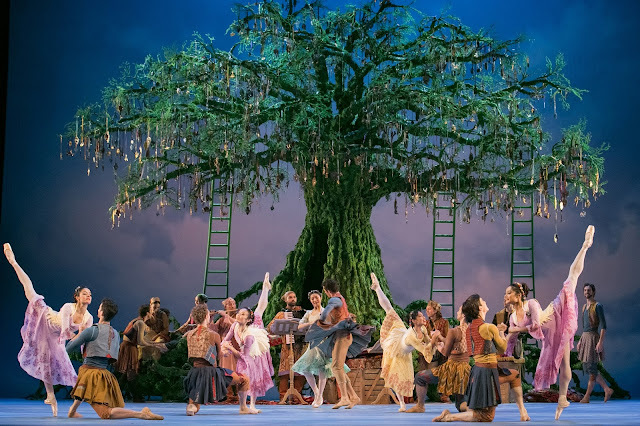 Christopher Wheeldon is becoming very skilled at total theater craft, as evidenced in his production of The Winter's Tale performed last week by the National Ballet of Canada. It was the sole dance fare in the 2016 Lincoln Center Festival, at the Koch Theater. 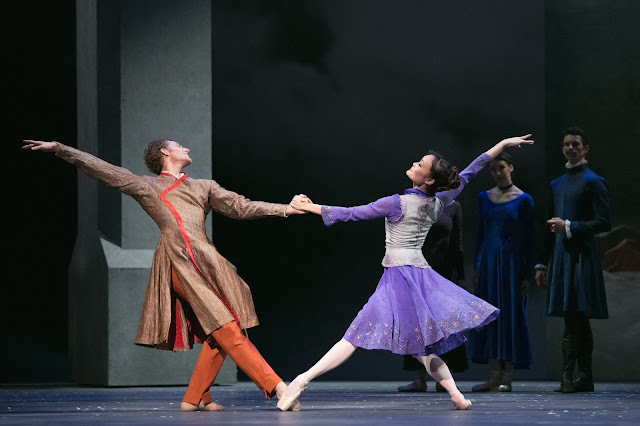 Of course, the still relatively young Wheeldon (43) has been an ace choreographer for years by now, with many plotless and themed ballets in company repertories around the world, with a lion's share for New York City Ballet. He conquered Broadway with the charmer An American in Paris, for which he won a Tony. The tools used there—moving large set pieces, employing video projections successfully, quickly crafting deft characterizations—were put to use in Winter's Tale to create a quick-paced, unexpectedly entertaining rendition of Shakespeare's story. He is able to focus on all elements of the production and not simply the dancing, although that remains the keystone. The show's length, around 2:45, demands a lot of choreography, and much of it is lyrical and shapely with inventive touches and some contortions as well (in particular, a lift by the young lovers in which Rui Huang basically folds in half as Skylar Campbell cradles her and they kiss. Ouch.) He generally favors outstretched diagonal lines, such as in the photo below, and free flowing phrases. With the exception of the petulant, brutal Leontes (Guillaume Côté, fierce and magnetic), the characters are subtly delineated. The main female role turns out not to be Hermione (Sonia Rodgriquez) but Paulina, head of the queen's household, danced incisively and with pathos by former Bolshoi member Svetlana Lunkina. Two tall portals move about the stage frequently. In one scene, a seemingly endless staircase foreshadows the impending death of the boy prince Mamilius, who descends it. Four statues that appear to be life casts sit on pedestals; uncovered, they imply pomp, and covered, stasis or death. The show-stopper is Crowley's magnificent and life-like tree in the second act, bedecked with ornaments. A flutist plays beneath it as the townsfolk spread blankets and climb ladders to add jewels to the tree's branches. An ensemble dance includes folk motifs of the Slavic sort, such as folded arms and flexed feet. Bob Crowley's elegant costumes flatter; the men wear pieced tunic coats or kilt-like skirts over tights, connoting a tribal feel. The women are given sleek, flaring dresses with chenille vests to denote the outdoors. Huang and Campbell as the princess and prince injected joy and lightness into their lengthy duets and solos. The score, by Jody Talbot, is lyrical and perfectly pleasant, with dramatic swells and Gershwinesque horns. Perhaps with further viewings, notable musical themes might emerge. But it's a solid ballet with good bones, and a notable entry into the full-length canon.